Jared Nickens, a professional basketball player in Canada who played his high school basketball at Westtown High School in West Chester, is one of two former University of Maryland players suing the makers of the video game "Fortnite" over a dance. Nickens and Jaylen Brantley filed a $5 million federal lawsuit this week suing Epic Games, the makers of the wildly popular video game, claiming the company profited off the “Running Man Challenge,” a dance move the two popularized via social media in 2016, according to USA Today. The two were at the birth of the social media craze, in which people danced a particular move to the song "My Boo" by Ghost Town DJs. In "Fortnite," players can celebrate an impressive play or a win with “emotes,” dance moves and celebrations their in-game character will act out. "Fortnite" added the "Running Man" dance as an emote to the game last September. During their appearance on the show, Nickens and Brantley said they learned about the dance move from an Instagram post by two Hillside, New Jersey teenagers. Nickens and Brantley aren’t the first people to take Epic Games to task for the perceived misappropriation of a dance move. Rapper 2 Milly sued Epic Games over its use of the “Milly Rock” dance as an emote "Fortnite"; and “Fresh Prince of Bel-Air” star Alfonso Ribeiro sued Epic Games over its use of the “Carlton” as an emote in "Fortnite." 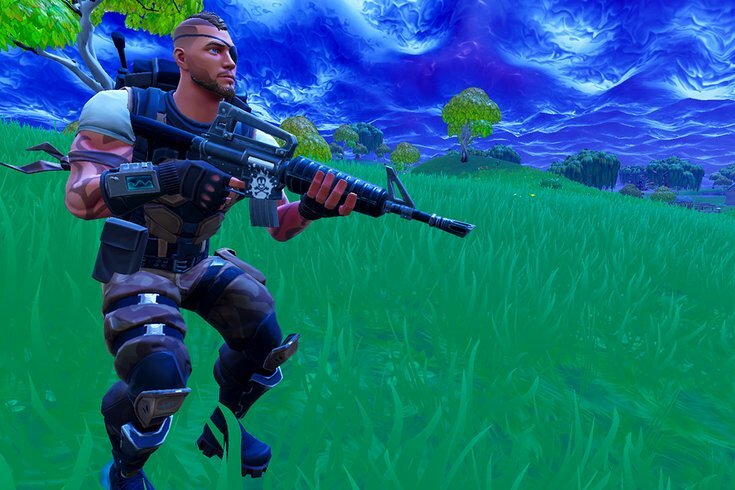 Epic Games has previously held the defense that “no one can own a dance or simple dance routine”, USA Today reported.